Are you ready for Summer Camps 2019! Interested in hosting a summer, winter break, weekend, or spring break camp at a location near you for 2019-2020? We can help! Call our office today at 1-866-530-6855 to learn how you can maximize space and revenue for your School, Camp, Church, Temple, Country Club, Recreation Center, YMCA, JCC, Large Center, Community Center, Fraternal Organization HQ, Specialty Camp Location, Daycare, Early Childhood Center, and more! Mad Science, the world's leading provider of fun science programs is offering summer science camps all throughout the Delaware Valley region! Kids can enjoy week-long half day or full day science programs while sparking their imaginative learning when school is out! Your child will become a junior Mad Scientist for the week, having the opportunity to experience a variety of unique activities and hands on experiments. Our camps are truly unique experiences and encompass all of the fun and excitement you have come to expect from Mad Science, including our phenomenal take-homes! Children will design, create, build and assemble a variety of interesting projects and will take at least one project home every day. Your child will be able to touch, see, hear, smell and taste what science is really all about. Mad Science camps offer a daily combination of in-class discovery and exploration, and hands-on applications of the scientific principles presented. 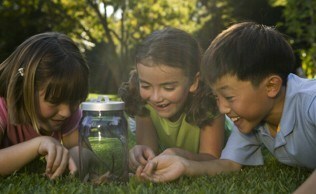 Campers create a variety of take-home projects and explore how science affects the world around us. Your child will have so much fun while learning about science! 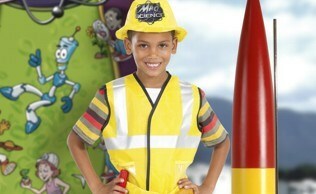 Take a look at the Mad Science summer camp themes we are offering this year. There are so many choices, you will surely find something that will excite and interest your child! Gallons of green glowing liquids, strange objects flying through the air, messages written in secret code, mystery substances that change from solid to liquid in seconds... Mad Science summer camp! If you have any questions, please call us at 1-866-573-4052 and we will do our best to assist you! Please keep in mind that some additional locations may be added throughout our camp seasons. Be sure to visit our website for the latest schedule to find out if we have a location closer to you. Our camps tend to fill up to its maximum capacity quickly, so make sure to grab a spot before they run out!